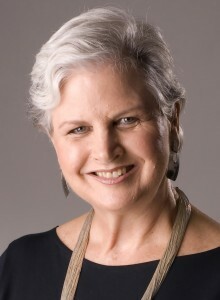 Paula Rath has been an international journalist since 1968, beginning with CBS News Hong Kong and including KHVH News Radio in Honolulu, Puisano Newspaper in Botswana and Today’s Woman magazine in Nigeria. Paula was fashion and fitness writer for The Honolulu Advertiser until it’s closure in 2010. She also hosted an “Island Style” segment on the Channel 2 Morning News and was the director and editor of U magazine. Known as Hawaii’s premier fashion journalist, Paula interviewed icons Paloma Picasso, Isabella Rossellini, Anna Sui, Frederic Fekkai and Robin Renzi. As a mentor to many of Hawaii’s young designers, stylists and fashion writers, Paula formed Hawaii’s Fashion Forum twelve years ago and has continued to help with it’s growth and the careers of it’s members; many of which have graduated to writing, styling, and design careers with Anna Sui, Betsey Johnson, and several New York fashion magazines. Paula earned a degree in fashion design in 1995 and opened her own studio in Kakaako, creating upscale women’s wear. This combined experience as a professional designer and journalist gives her a unique perspective on fashion and enables her to bring an unsurpassed level of expertise to paularath.com. She was a pioneer in health-related public relations, as the first communications director at both Blood Bank of Hawaii and Straub Clinic & Hospital. Always a fitness fanatic, sports and exercise have been a priority for Paula’s. Being married to an orthopedic surgeon also gives her an edge up on current sports medicine expertise. Paula is currently a freelance writer and fine artist working in watercolors, acrylics, monoprints and textile arts.